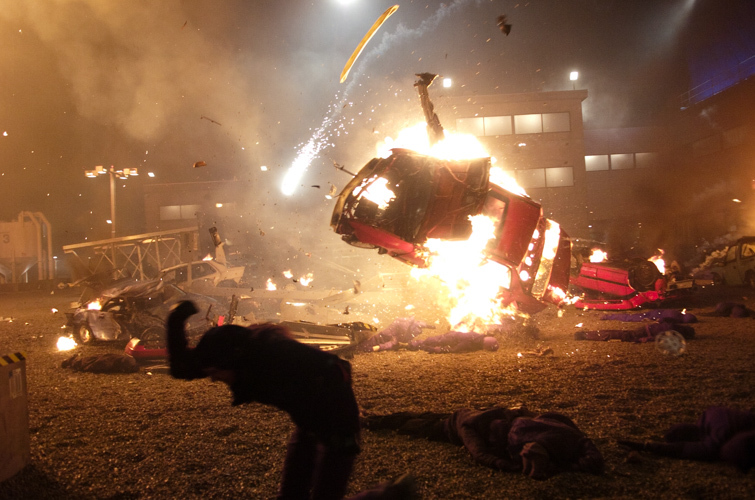 Have you ever wondered how those cars in action movies get launched in the air and explode? They actually get shot out of a gigantic car cannon. Yes it is true and extremely cool. I wish I could give you more details but alas I am not part of the special effects department. I am the person with a camera sent to capture this awesome event. There is a scene in XMen 3 where the character, Magneto uses his metal controlling superpowers to toss cars off of the Golden Gate Bridge. One may think that this would normally be a Computer Generated Image, however, why miss such an opportunity to actually toss cars through the air!!!! Now shooting cars out of a cannon is not a very precise science however they do the best they can. We spent many hours setting up for this iconic shot and there were many different motion camera teams there to catch as many camera angles as possible. I was the only still camera so I needed to do a lot of research during the 8 hour set up to make sure I had found the best angle. Brave people from the stunt department surrounded each person who was working a camera to pull them out of harm's way should anything unpredictable happen. After all this prep it was "showtime" and exploding cars were flying all around us. Amidst the mayhem, stunt performers, playing innocent frightened bystanders on the bridge; run for their lives literally just outside the predicted landing spots for the cars. I must admit I would have run in the other direction if there wasn't a large stunt guy squeezing the life out of me while he was supposed to be protecting me. I eventually found my cool and stayed in place as the fast moving motor drive of my Nikon caught a variety of frames. 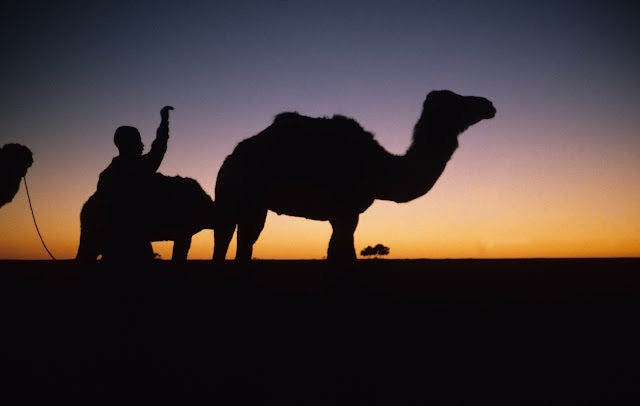 I love this particular frame because of the silhouette of the person running in the foreground. It was a challenge to predict the exposure as I was not too sure in advance of how bright the fire would be in the exploding cars. I chose an exposure based on the ambient light and took it down about a stop and a half to compensate for my assumed brightness from the fire. I also chose a fast shutter speed of 200 to freeze the fast moving cars and people. My iso was 1000 and my lens was nice and wide at 18mm. My aperture was wide open at 2.8. Quite often it is the job of the studio photographer to flatter the subject as much as possible. Women most often are lit and photographed in a way to make them look flawless and ageless. It is not everyday that a real live monster steps into your studio and it is your job to glorify all of the gory details. What fun!!!! Here are 2 Zombies that I shot for the poster art for the film "Cabin in The Woods". To transform these performers into Zombies it takes hours of laborious work from an amazing special effects team and a lot of patience from the ones being transformed. My first inclination when photographing the undead would be to throw most of the creature into shadow and let the viewer's imagination take over. However, upon looking at the incredible details of the make up and costume, I realized that I had light it is such a way that the details could be seen and still maintain a mysterious feeling with shadow. Isabella Rossellini was drawn to Winnipeg Manitoba to play the role of a legless Beer Baroness in the art film, "The Saddest Music In the World". Her legs had been replaced by prosthetic beer filled glasses and she draws musicians in from all over the world to hold a contest for the saddest song. Isabella is no stranger to unique film making and she braved the Winnipeg winter where it is common to have days that are -30 Celcius to work with film maker and Winnipeg icon, Guy Maddin. I too was drawn back to Winnipeg where I lived from the ages of 15 to 20 to work with Guy who I had known from the past. The studio where we were filming was an old empty hangar which was only heated in a couple of areas. While the crew were wearing huge Sorel boots and massive down filled parkas, the performers were sporting costumes of winter wear from the depression era.